Dead Dan Dance is of course a legendary band, and high on my wishlist of bands to see live. 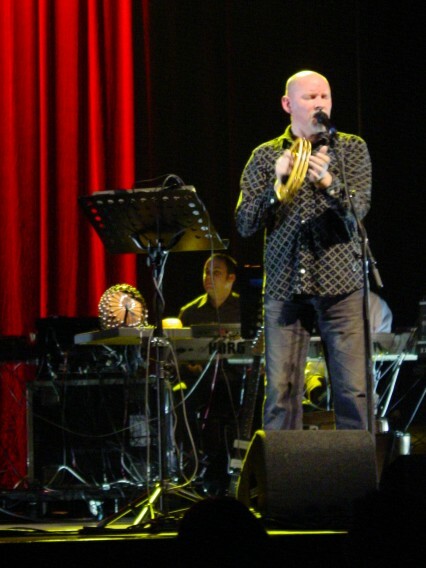 From various people I heard euphoric comments about how good Brendan Perry are Lisa Gerrard are on stage. 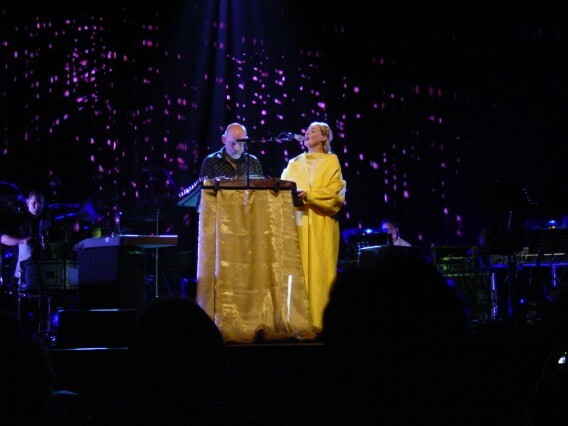 The fact that they split up in 1998 made it unlikely that I would ever get a chance to see Dead Can Dance perform. I only attended a Brendan Perry solo concert once in Amsterdam. But suddenly, a few months ago, it was announced that Perry and Gerrard would go on the road again, with a new band of musicans. I was not the only one craving to see them live, because the 13-date European tour was quickly sold out. It will be followed by a North American tour. The congress hall in The Hague were they would perform was a new venue for me. It has a capacity of about 2200 people, comfortable seats and a very good sound system. In the crowded lobby visitors with a wide variety in age and style were gathering. Amongst them numerous known faces for me, including people I hadn’t seen in ages. The merchandise stand with T-shirts, posters and tour program attracted quite some customers. Of special interest was the luxurious live set of tonight’s show which you could order. When it was time to enter we quickly got seated at our good spots on the fifth row, where we had a perfect view. First we were treated to support act La Kidda, a Dutch girl who usually performs with a band, but now she was alone with her guitar, which was courageous for such a big audience. She played a handful of songs, which was enough. 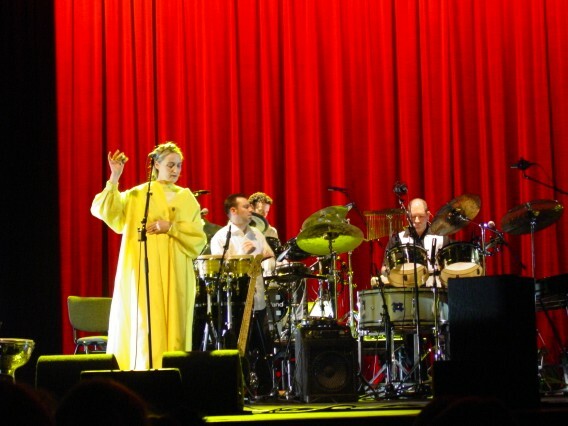 Though she is certainly a promising performer, the jazzy singer-songwriter style of music did not fit headliner Dead Can Dance very well. After her short set it took quite a while before things got really started. The stage was filled with quite some instruments. One half in the back was reserved for various drums and percussion instruments, while the other side was occupied by synthesizers. In the front you could see the hammered dulcimer (played by Lisa) and various (bass) guitars, as well as some other instruments lying around, like the hurdy-gurdy and percussive tools. When the 8-piece band finally took the stage they were welcomed by a very big applause. Lisa stood in the middle, almost like a sun with her bright yellow dress. 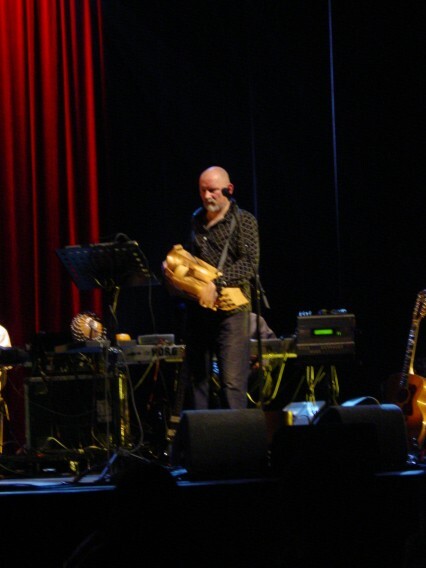 Amongst the musicans was Irish composer Patrick Cassidy, with whom Lisa Gerrard made the recent album “Immortal Memory”. The mood was directly set when they started to play the percussive first song ‘Nierika’, the opening track of their latest studio album “Spiritchaser”. Most impressive were the voices of Lisa and Brendan, they both demonstrated very convincingly what a gifted vocalists they are. Very nice was the great variety between the songs. Not only did Brendan and Lisa alternate each other singing, but there was also a dynamic mixture of tranquil, moving spiritual songs and lively, rhythmic oriental pieces. Each song was different, each song was worthwhile. To my pleasant surprise they played quite some new, unknown songs, which fitted nicely in with the older material. Time will tell if we can expect a new album too, or if this tour is a one-off thing. Anyway, Dead Dan Dance has a tradition of performing songs which are not included on the studio albums. Inbetween the songs there were quite long pauses. Perhaps caused by the relative inexperience of this line-up, as this was only the second concert of the tour. 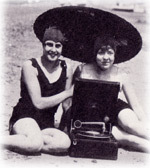 Or by the large number of instruments that had to be tuned and the frequent changing of instruments. A few mistakes, mostly with the keyboard parts, could be heard now and then, which made perfectionist Perry a little upset, as you could clearly see. During one song (“Black Sun”) he even asked the band to start over again. Some songs also had a somewhat abrupt ending. The mood in the hall seemed to be almost sacred, nobody spoke a word. At one time Brendan even called out: “Is there anybody out there?”. Otherwise they weren’t very communicative, though Lisa thanked the audience a few times. I read that during the previous show in Dublin they were more extrovert. There were plenty of highlights. I really liked Brendan’s moving rendition of ‘How Fortunate The Man with None’ and Lisa’s intimate a capella ‘The Wind That Shakes The Barley’. It was also nice to see the enthousiastic response by the audience of classics like ‘Rakim’ and ‘Saltarello’. Just a pity that ‘Cantara’ wasn’t played. 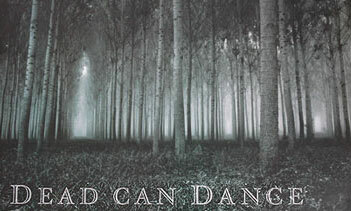 Dead Can Dance played songs of almost each album back to ‘The Serpents Egg’, so nothing of the first two albums. Nice was also that they played ‘Dreams made flesh’ from the This Mortal Coil Album “It’ll all end in tears”. After a lot of cheering the band returned for an encore, including a nice new song, the classic ‘Severance’ and the moody ‘Yulunga (Spirit Dance)’. There even came a second encore, with a surprising new song by Lisa, sort of a jazzy lullaby, which showed yet again a new side to her vocal style, a very emotional piece. At the end she seemed to call Brendan, but he did not come on stage anymore. Lisa thanked the audience (“Thank you, you are beautiful, thank you for making our music possible”) and received flowers before she left. When the lights went on and we headed towards the exit. It was hard to adjust to everyday reality again, under the influence as we still were of the mesmerizing performance. The photos on this page are ? by iisolde.